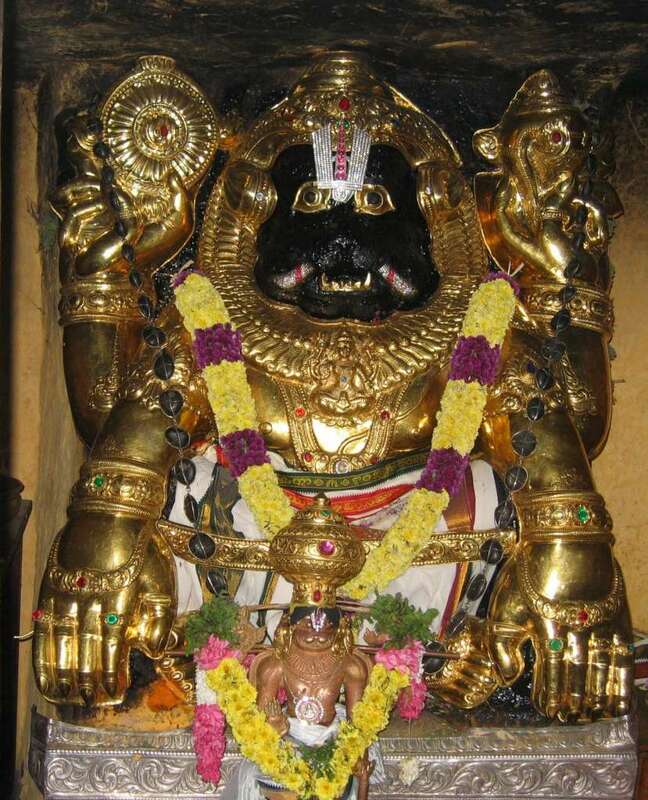 Today 29th Aug 2015 is ‘ Avitta Nakshathiram in the month of Avani’ – celebrated as Yajur Upakarma. Today is Pournami and at Thiruvallikkeni Sri Parthasarathi perumal had chinna mada veethi purappadu. The glorious Thiruvarangam… 21 Gopurams – 7 prakarams …. 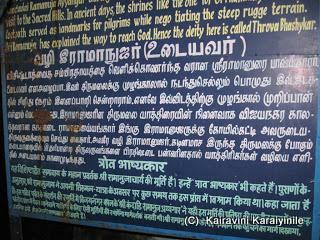 ~reverred as ‘The Kovil’ by all Sri Vaishnavaites – Srirangamis an island created by Coleroon [kollidam] and Kaveri. 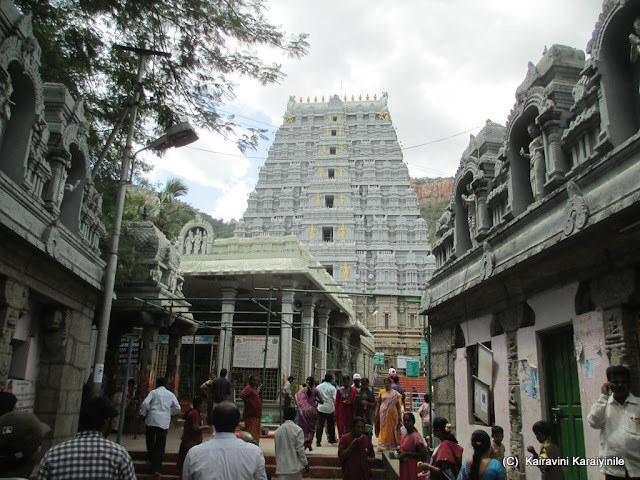 The temple of Sri Ranganathaswami at Srirangam boasts an historic past of great kingdom and a civilization thousands of years old. It has flourished through various dynasties though the invasion of Malikapur was a dark era. 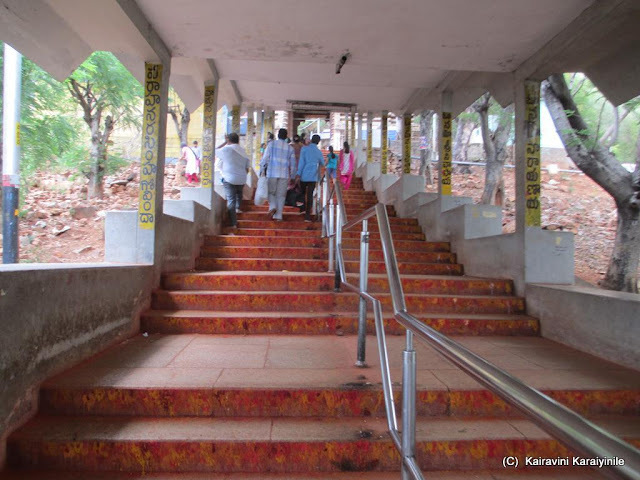 At that time, Acharyar Pillai Lokacharyar [Pillai Ulagaryar] who was already 60+ by historical accounts along with his disciples Kura Kulothamadhasar and other committed devotees, traversed miles carrying Arangan to safety as many thousands sacrificed their lives fighting for the divinity…………. Around 150 km from Thiruvarangam is Yanaimalai [literally Elephant hill] in Madurai, a protected monument. 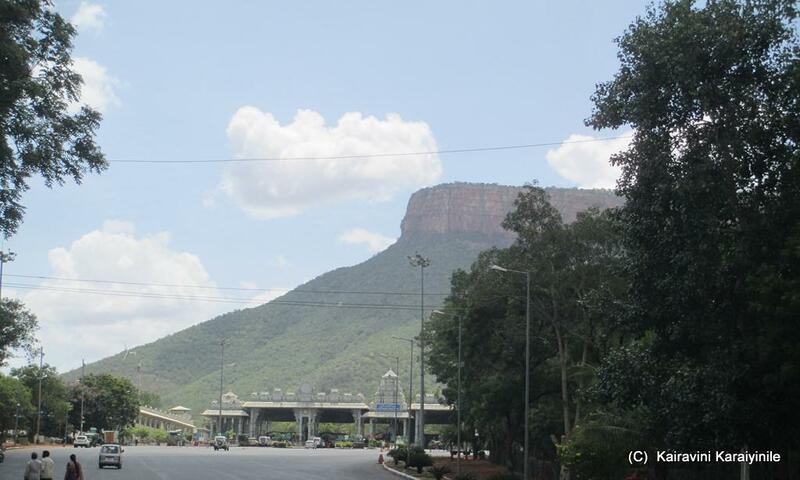 The hill does look like an elephant in sitting posture. 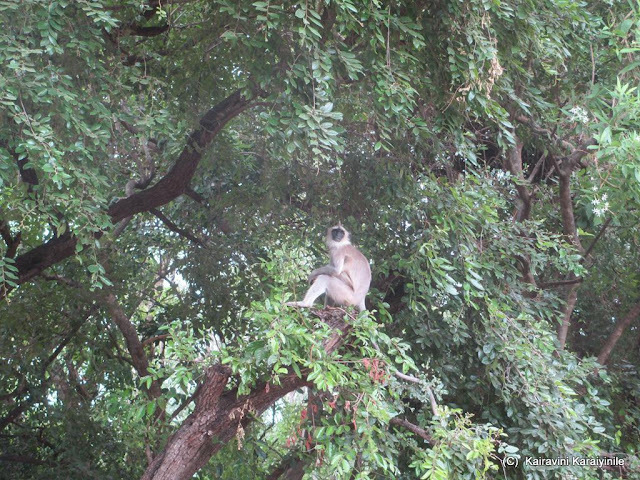 It is located in Othakadai, 8 km in the outskirts of Madurai, stretching over 3 km and around 300 ft high. 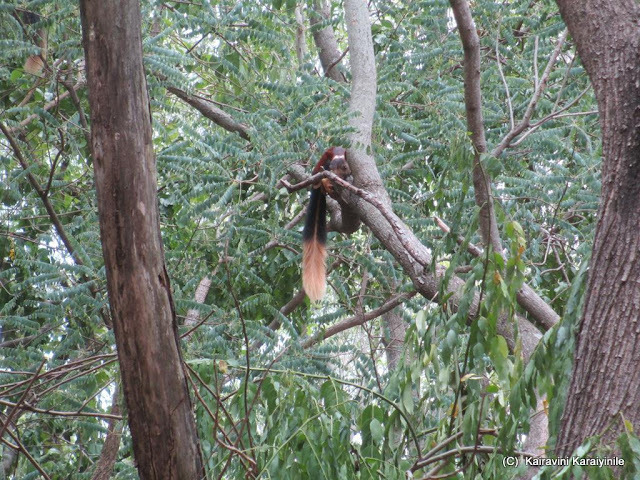 Yanaimalai has significance for Jainese too. Tamil-Brahmi andVattelettuinscriptions have been found on the hill. 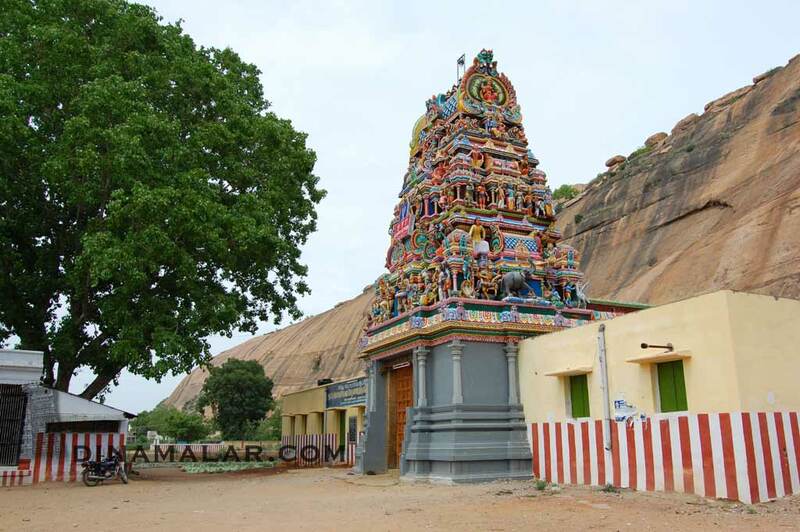 Yoga Narasimha Swami temple situate on this hill, is a famous temple, dating back to Pandya King JatilaVarman, also known as KomaranSadaiyan.According to the SthalaPuranam of Madurai KoodalAzhagar Temple, known as KoodalManmiyam, sage Romasa had installed the Narasimha idol in a cave in the hill. 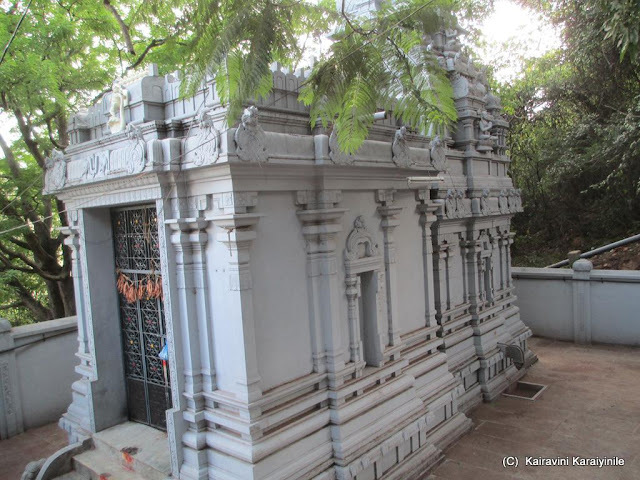 In 1300s, Swami Pillai Lokacharyar at ripe old age, along with trusted aides set out of Thiruvarangam carrying NumPerumal in a bid to protect Him from the Islamic invaders who were plundering all wealth. On the way, nearer Jyothishkudi [in Yanaimalai], Pillai Ulagariyar, unable to bear the stress, attained paramapadham. 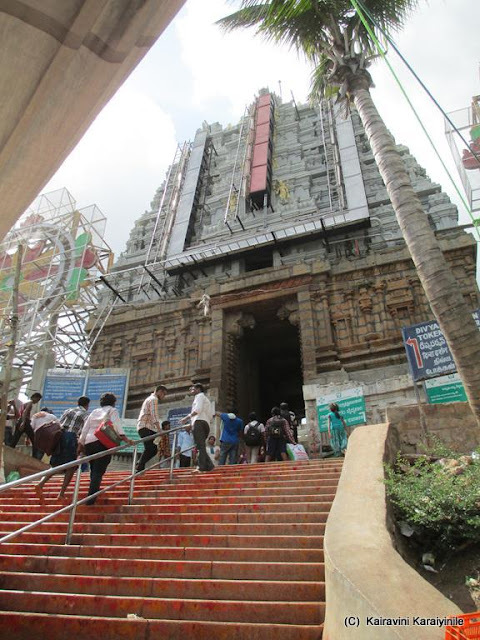 Our NamPerumal travelled places – Thirumalirumcholai, Kozhikode, finally Thirumalai, returning after long years. Today’s The Hindu reports of a news item about ‘Thiruman’ painted atop the holy hillock – being the subject matter of discussion by a section of lawyers in the Madras High Court Bench at Madurai. 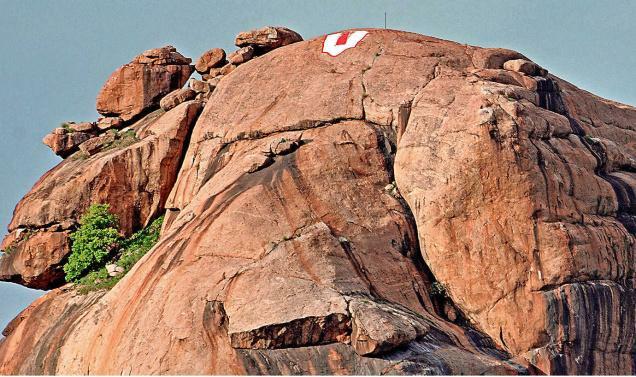 It is reported that a lawyer reportedly is contemplating to file a public interest litigation petition against painting of religious symbol on the hillock since it had been declared a protected monument under the Ancient Monuments and Archaeological Sites and Remains Act, 1958. 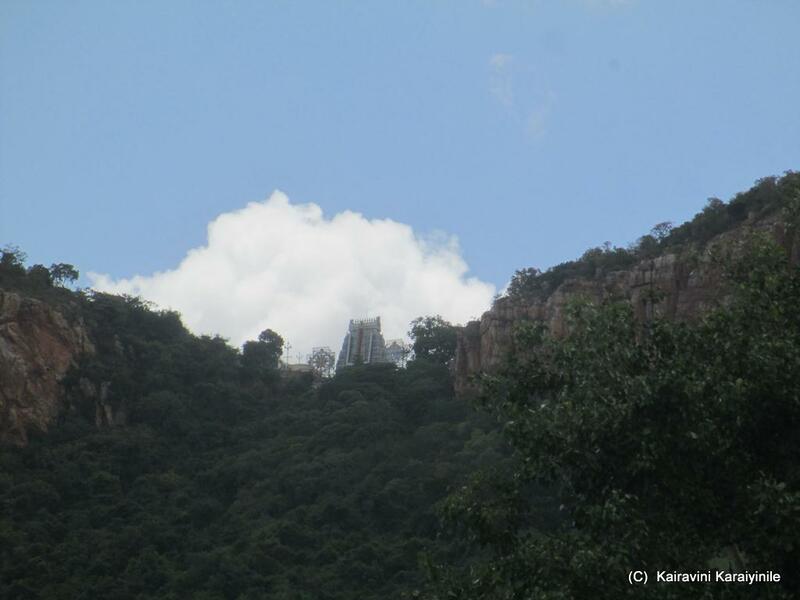 Two temples, one for NarasingaPerumal and another for Lord Murugan, were situated in the foothills of Yanaimalai, and the ancient hillock with a recorded history of over 2,000 years houses Jain caverns with Bas Relief of Mahavira, Parsuvanath and others – and a group is objecting to painting. According to the report, ‘Thiruman’ has been painted exactly on a rock that resembles the forehead of an elephant. “Painting on rocks is against an order of the Supreme Court in 2002 when it fined cola companies for defacing the Himalayas by their advertisements,” the advocate claimed.A priest associated with the Narasingam temple clarified that they did not paint the ‘Thiruman’ and was not aware of who painted the new one.The ‘Thiruman’ was in existence for some years now, signifying the presence of Jothishkudi village below the hillock, where the ‘utsavar’ of Ranganathaswamy Temple in Srirangam was kept by Pillai Lokachariar after it was taken away from the temple for protection from invaders. The priest was not aware of who painted the new one, concludes the report. On way to Mysore from Bangalore lies Mandya district, region purportedly getting its name, meaning a habitat preceding a civilization or roughly an ancient abode. Then there is - 'Pandavapura' which literally means "Town of Pandavas". 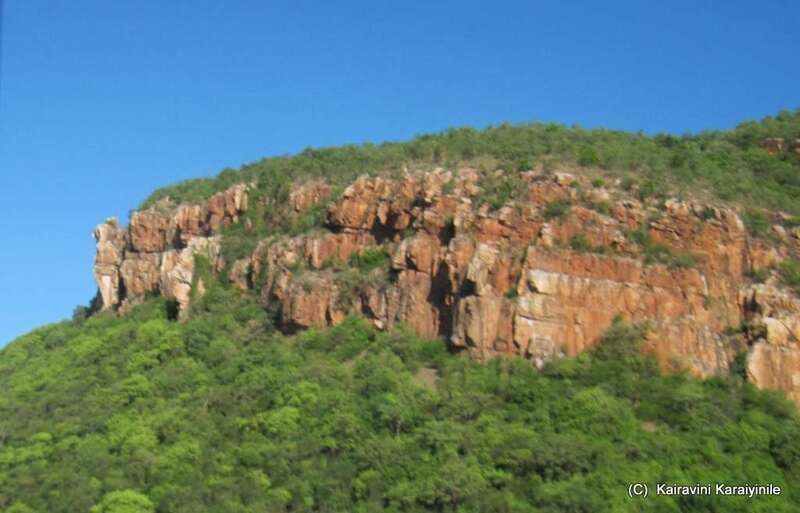 Legend has it that the Pandavas during their period of exile stayed here for sometime, and Kunti, mother of the Pandavas, liked the hillock so much that it became one of her favorite haunts. 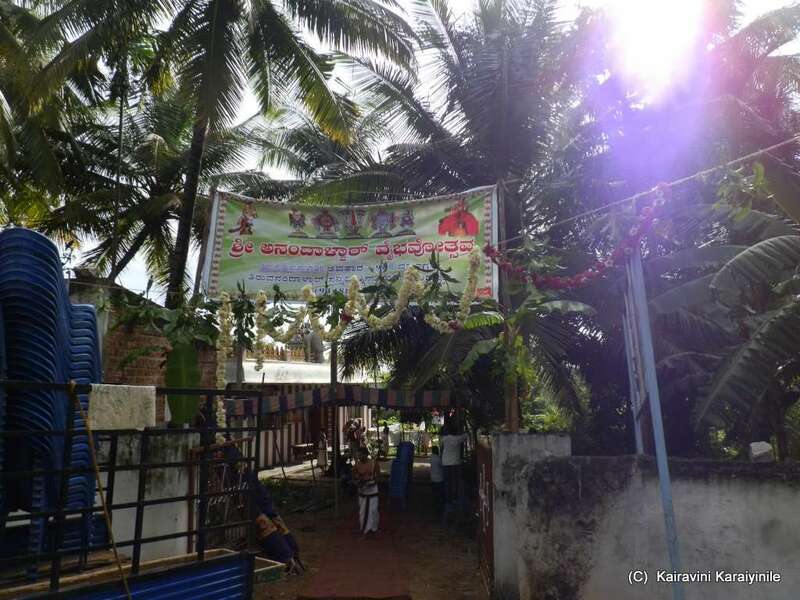 The town has historic relevance also as it was used as the camping ground by the French army, which came to help Tippu Sultan in his war against the British. 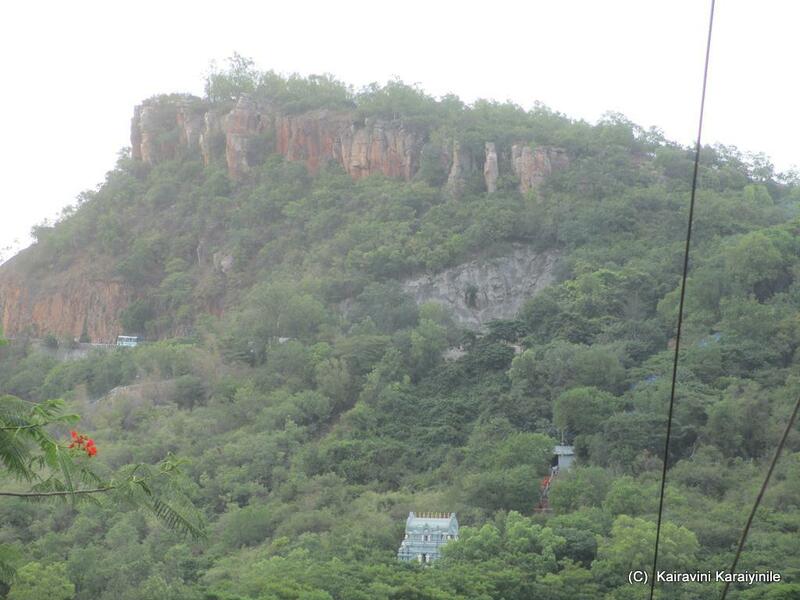 It is believed that French named the small town as "French Rocks", as the town is in the vicinity of two rocky hills. 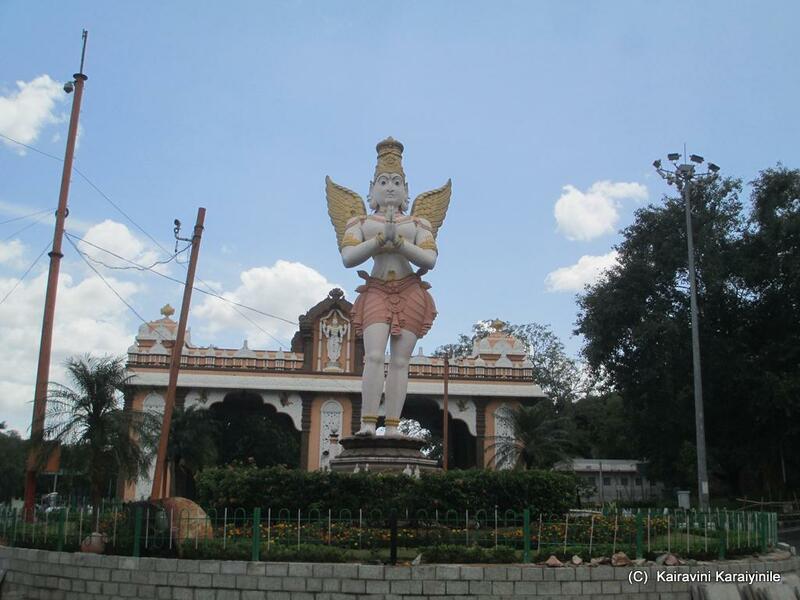 Pandavapura having paddy and sugarcane fields is 130 km from Bangalore and 25 km from Mysore. There are many jaggery manufacturing units too adding sweetness to the town which has Cauvery water flowing through Visweswarayya Canal. To us, devout Sri Vaishnavaites, this place – to be specific a small village known as Siruputhur ‘Kiranganoor’ [Hale Kiranguru] in Srirangapatnataluk is of significance for its association with one of our Acharyars. I have been posting about the mahothsavam at the Holiest Thirumala for Sri ThirumalaiAnanthalwan, a great Acharyar who did floral service for Thiruvengadamudayan, about 1000 years ago. 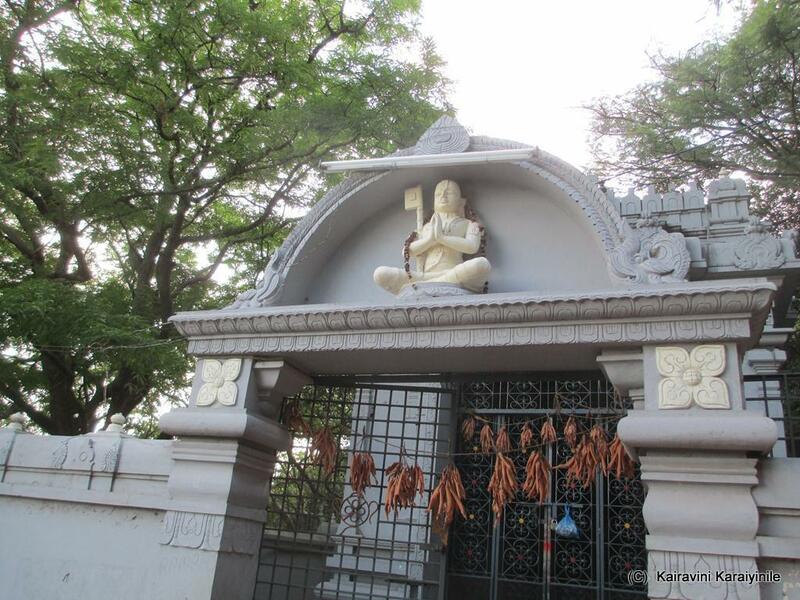 Sri Ananthazhwaan was born in year 1053 near Mysore in a village called ‘siruputhoor’ ~ now called Hale Kiranguru in SrirangapatnaTaluk 571807 situate on Pandavapura Station High Road. 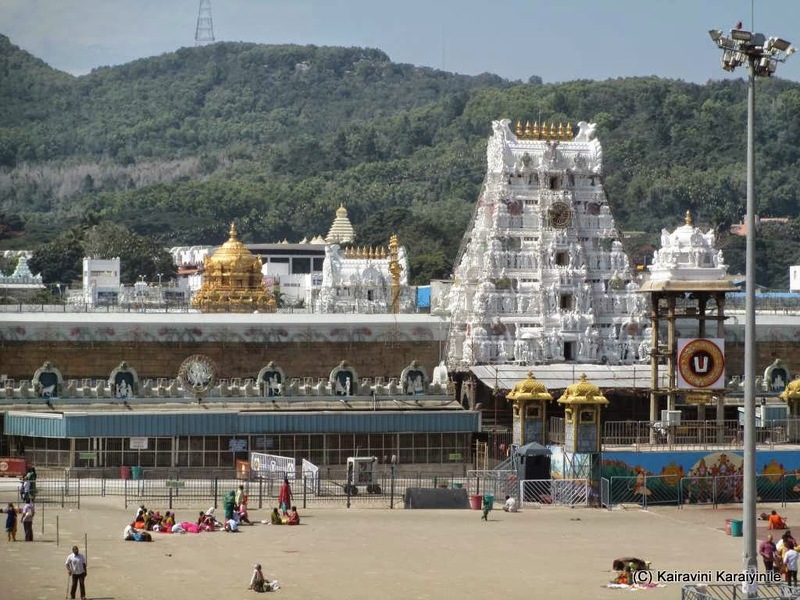 When Udayavar was rendering kalakshepam on Thiruvaimozhi, (the verse – sindhu poo magizhumThiruvengadathu – meaning the place replete with flowers), Udayavar asked whether anybody would do the pushpakainkaryam at Thirumala. 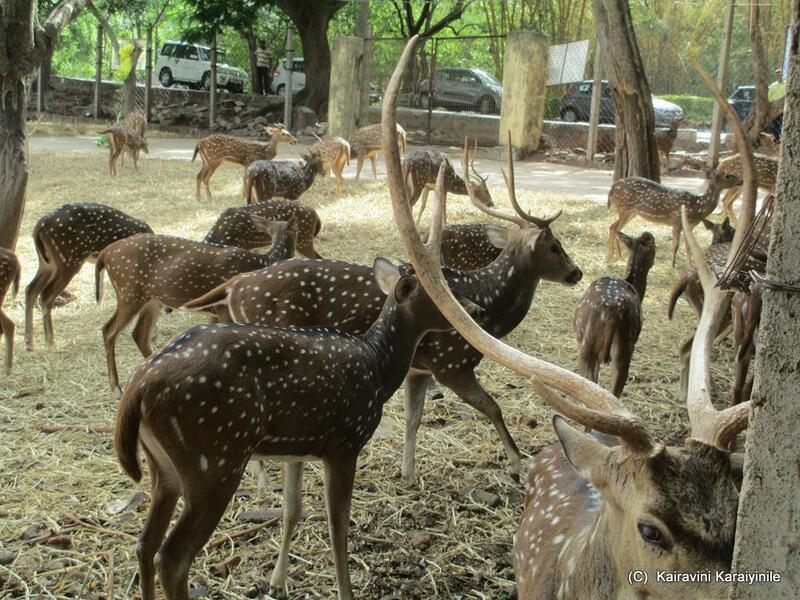 Remember, Tirupathi was a very dense jungle ridden with wild animals with adverse weather. Ananthazhwaan readily came forward and said that he would go, if Udayavar so desires. 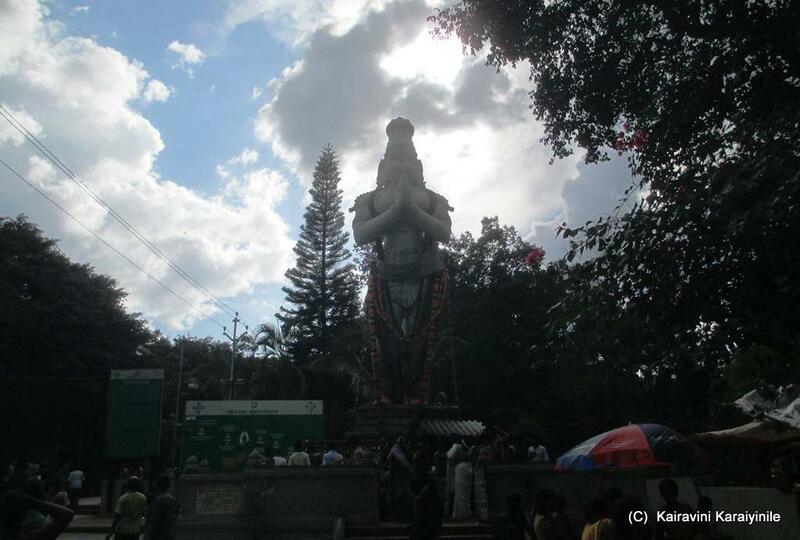 Udayavar was so elated that he praised Ananthazhwaan as the real man and till date, his descendents have the name ‘ThirumalaiAnanthanpillai’ meaning manly. 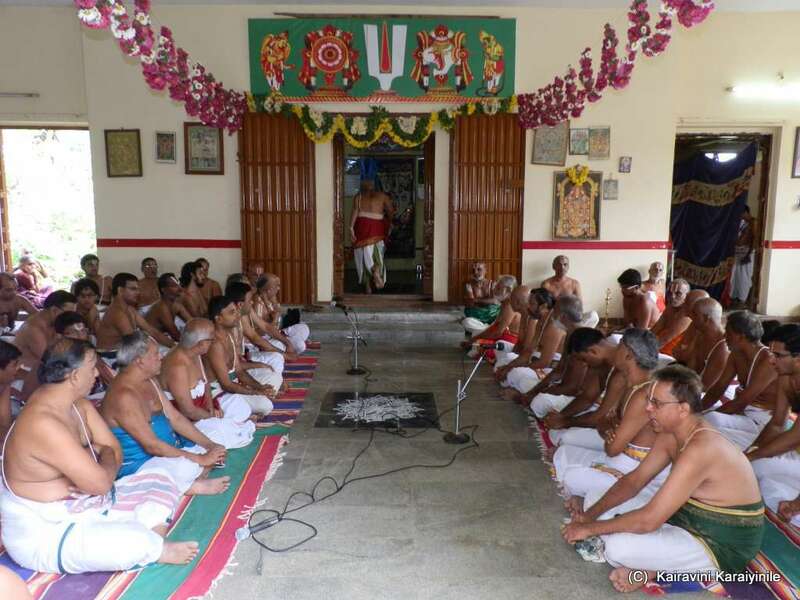 For the past few years, anniversary Uthsavam of Sri Ananthazhwaan is being celebrated at his place at Thirumala. 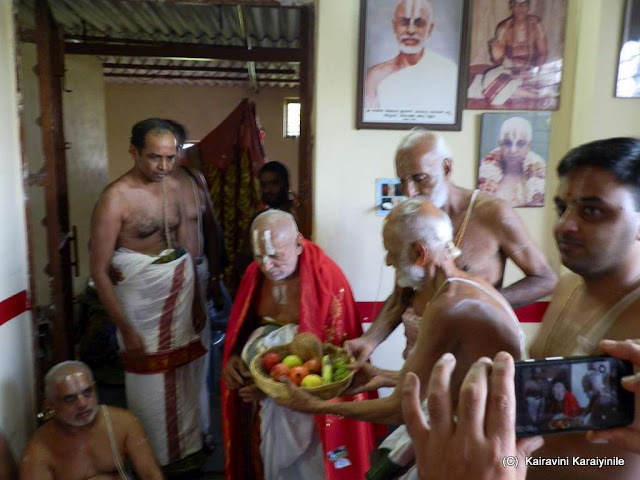 His descendants thought it fit to organize one at his birth place too and this year on 23rdAug 2015 - his Thirunakshithira celebrations were grandly conducted at his avatharasthalam at Kiranganoor. 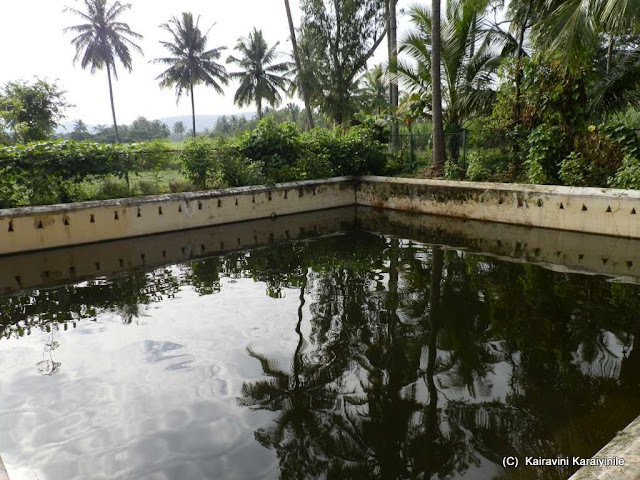 Understand that till a few years ago, other than a slab nothing existed here ~ now it is a beautifully constructed place having a temple tank, a Sannadhi where ThiruvengadamUdaiyan, Sri Andal, Sri Ramanujar and Sri ThirumalaiAnanthanpillai, Swami Manavalamamunigalare worshipped. 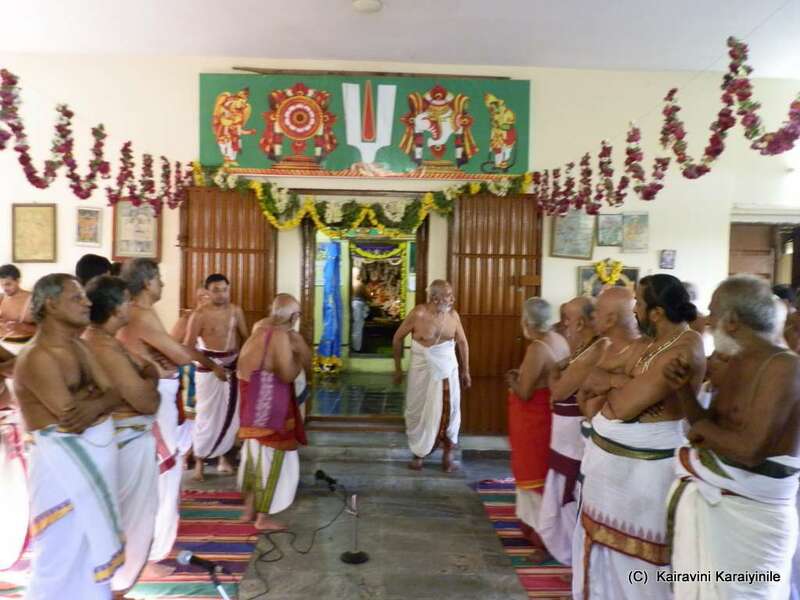 This year being 3rd in succession, it was ‘Kaliyan’sPeriyaThirumozhi’ rendered by hundreds of Vaishnavaites comprising of Adhyapakars from Thirumalai, PerumalKovil, Thiruvallikkeni and other divyadesams and of course from ThiruNarayanapuram. The function was grandiosely well organized thanks to the untiring efforts of Swamis from Melkote, [unfortunately I am missing out the details of the names of those Organisers who did untiring work as they remained in the background ~ a visitor like me was awe-struck seeing the spirit, enthusiasm and ease of people who visibly were Septuagenarians or perhaps easily more]. 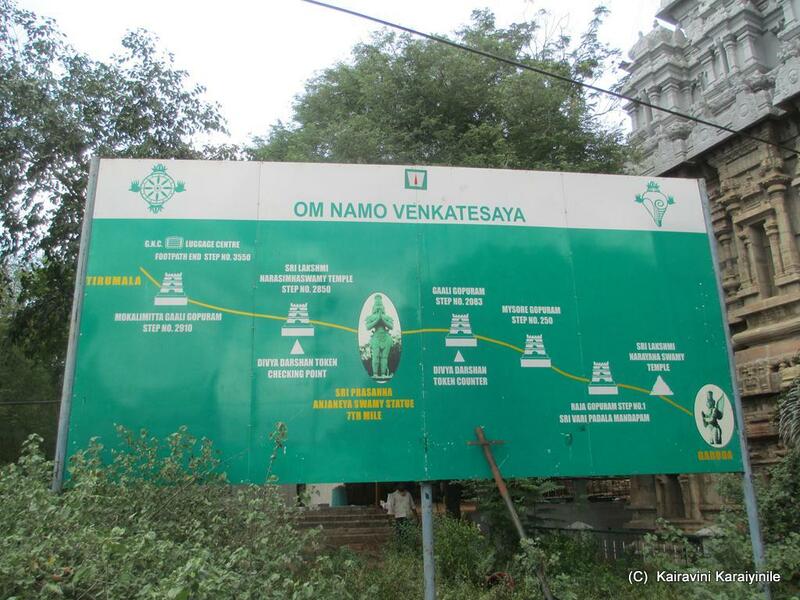 My Pranams to those Organisers and thanks to Dr. MA Venkatakrishnan swami [& MA Madhusudhanan] for taking us there. 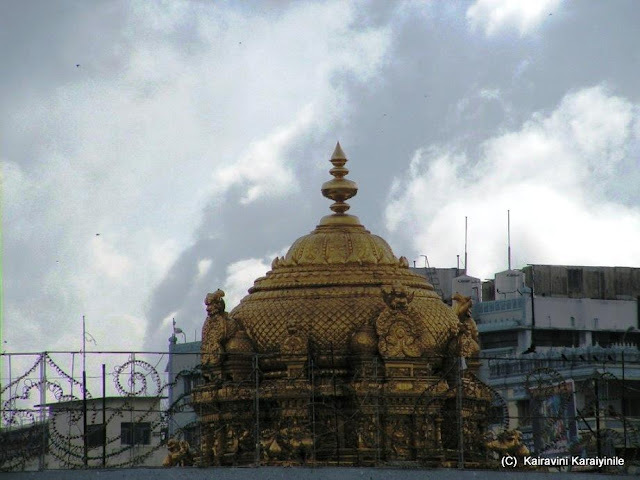 Understand that afew years earlier, a branch of the divine Magizhamaram from Thirumala [‘PuraisaivariThottam’] planted here, has now grown well thanks to the divine grace and pervading fragrance. Let us worship the feet of ThirumalaiAnanthalwar renowned for his knowledge, devotion, steadfastness and more good qualities. Some photos taken yesterday at his avathara sthalam are here. 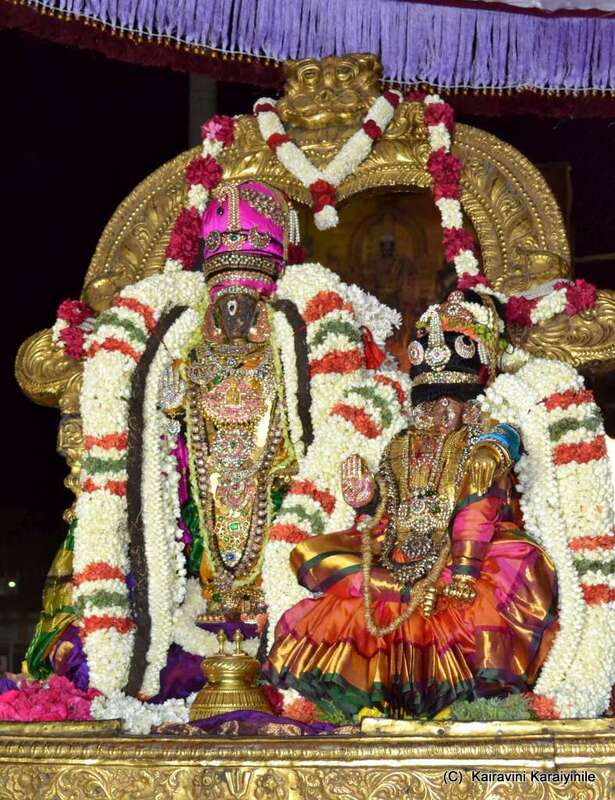 16th Aug 2015 was a great day - Thiruvadipooram [PuramNakshathiram in the month of Aadi] – a most blessed day for all Srivaishnavaites – the day of birth of KothaiPiratti [Andal]. 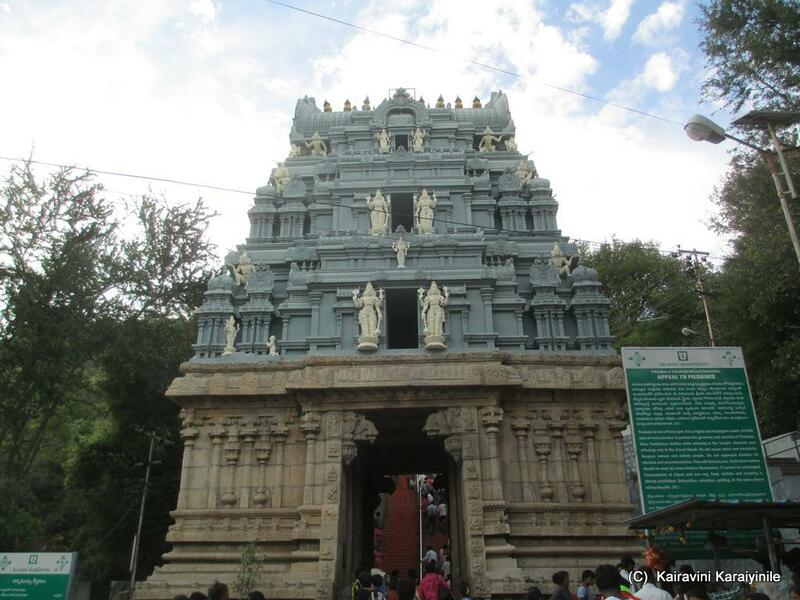 Here are some photos of the grand purappadu. 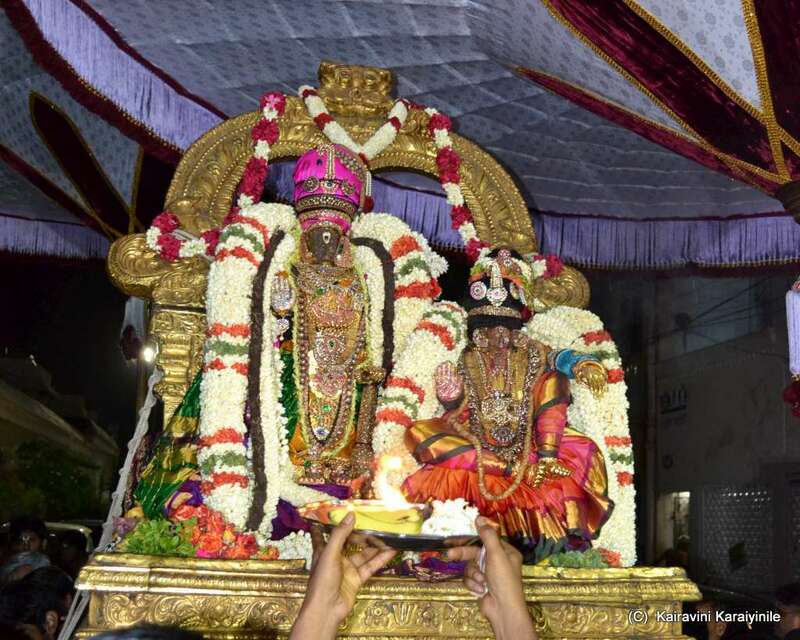 16/8/2015 - மிகச் சிறந்த நன்னாள் ! 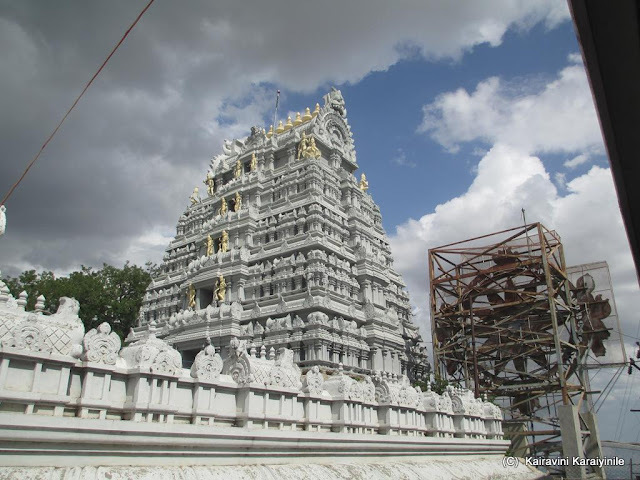 ஸ்ரீ ஆண்டாள் அவதரித்த தினம். 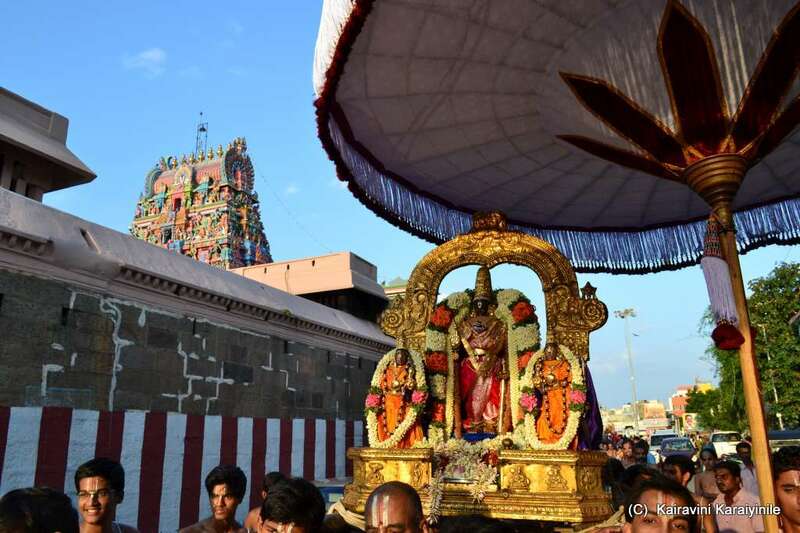 'திருவாடிப்பூரம்' ஸ்ரீவில்லிபுத்தூரில் பெரியாழ்வார் பெண்பிள்ளையாய், நந்தவனத்தில், துளசிமலரில் பூமிபிராட்டி அம்சமாய் தோன்றிய கோதை பிராட்டியின் பக்தி அளவிட முடியாதது. ஸ்ரீ ஆண்டாள் அருளிச்செய்த பிரபந்தங்கள் 'திருப்பாவை; நாச்சியார் திருமொழி". 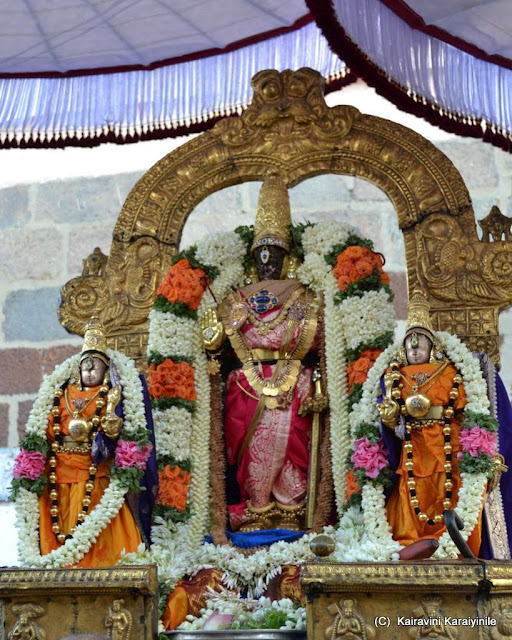 Let us fall at the lotus feet of SrimanNarayana singing the verses of Andal – which will ensure all goodness and prosperity. 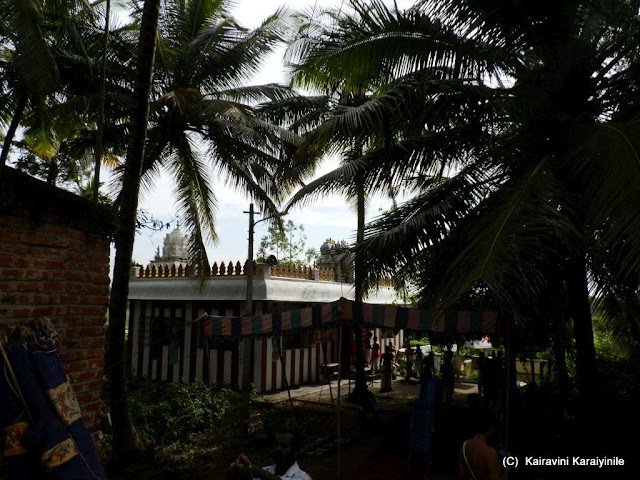 Today 16th Aug 2015 - is Thiruvadipooram [Puram Nakshathiram in the month of Aadi] – a most blessed day for all Srivaishnavaites – this day marks the birth of Kothai Piratti [Andal]. Andal was the most unique combination of divine wisdom coupled with devotion non-pareil. A paragon of virtues - supreme example of single-minded devotion in serving the Lord, as clearly brought out in her great prabandham of 30 hymns "Thiruppavai". 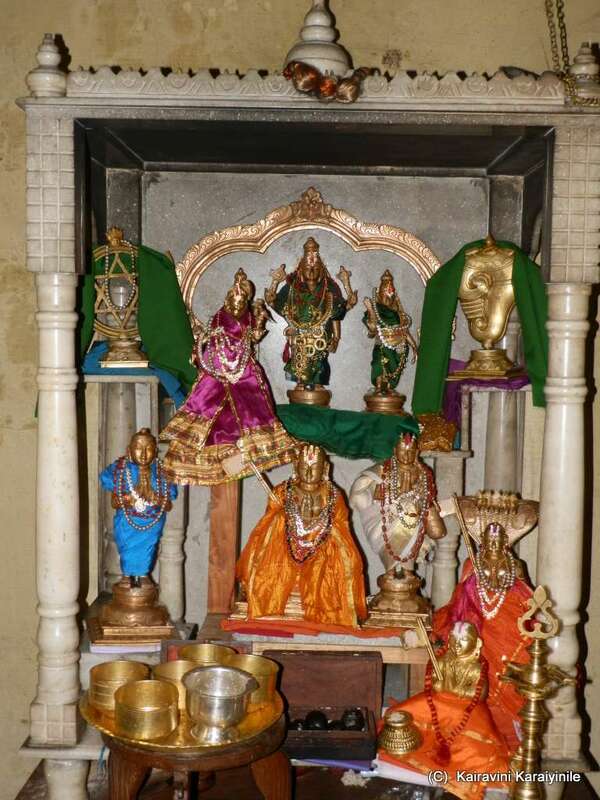 Here are photos of Sri Andal at Thiruvallikkeni taken on various occasions earlier. Of the incarnations of Sriman Narayana, His descent in human form as Krishna has been glorified as the most accessible and endearing. In her works, ceremonial austerity [Pavai nonbu] and her singleminded devotion in service to the Lord is explicitly abundant. 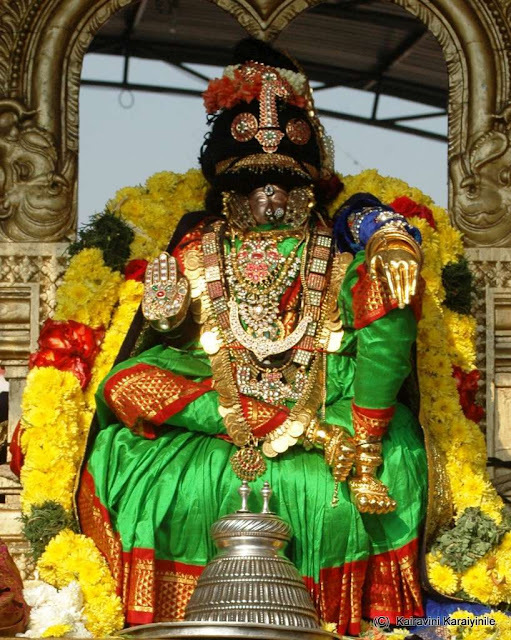 She was God-intoxicated right from her infancy and developed craving to marry Lord Ranganatha. 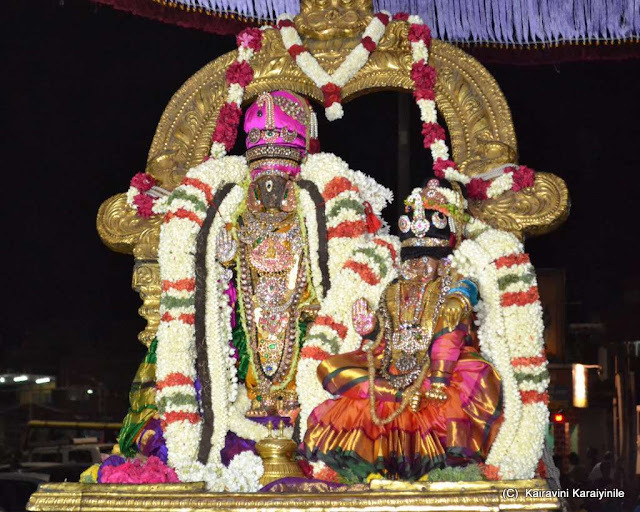 The Lord was so pleased that He gladly accepted the garland worn by Goda devi. 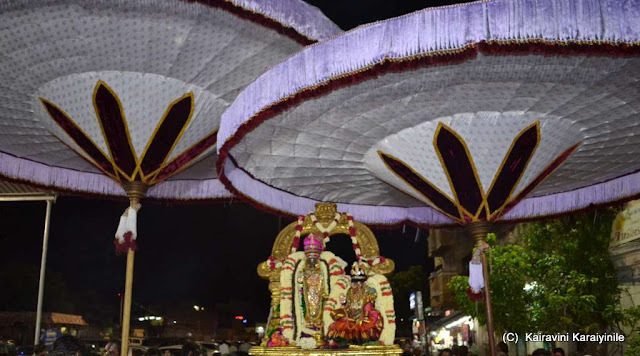 Symbolically after the purappadu everyday during this Uthsavam is the ‘malai marral’ [exchange of floral garlands]. 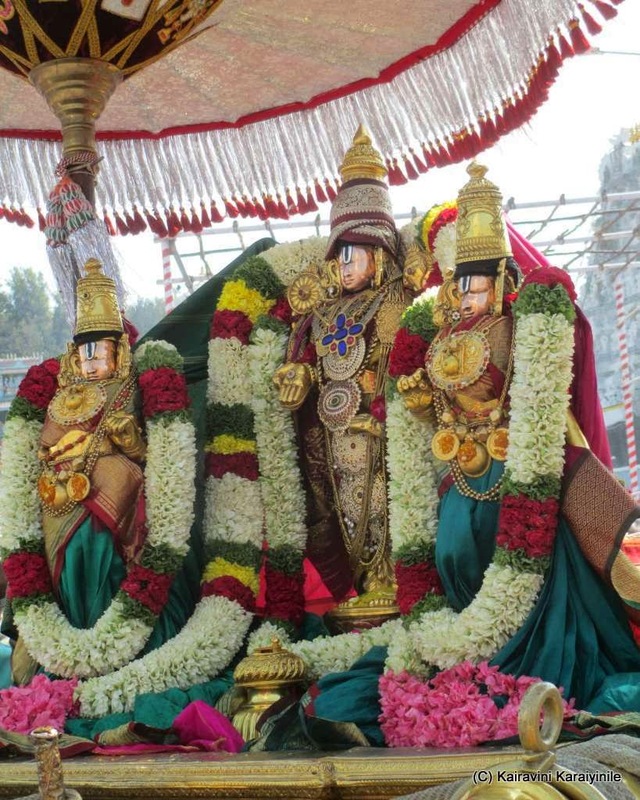 On Thiruvadipuram day, there will be grand procession [purappadu] of Andal at Srivilliputhur, Srirangam, Kanchipuram, Thiruvallikkeni and many other divyadesams. 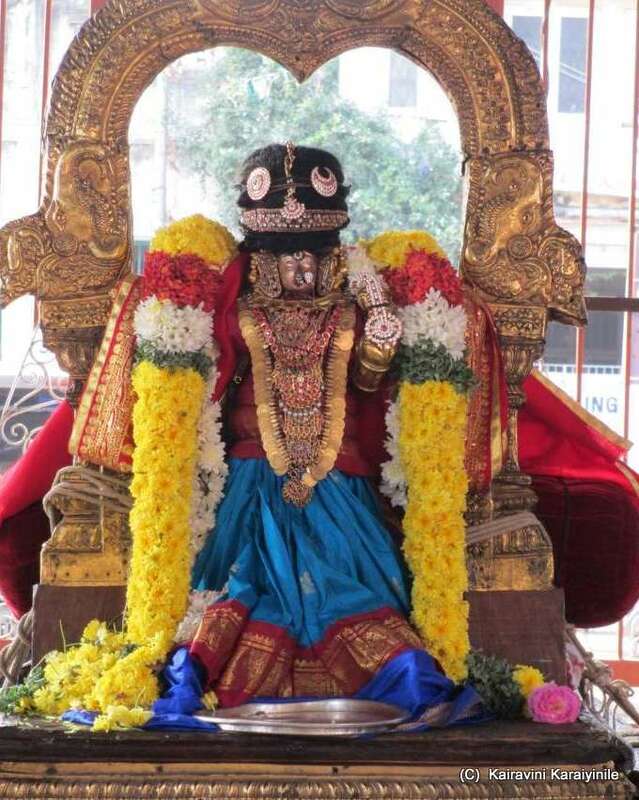 At Tirupathi, Govindaraja Perumal Thirukovil, Sri Andal with long hair graces Us. 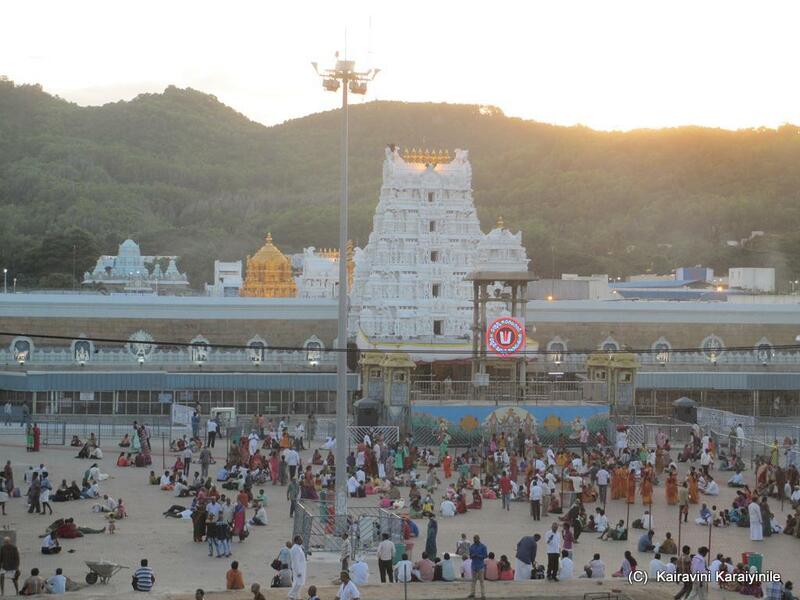 Understand that there will be thirumanjanam in the morning and purappadu of Andal to Alipiri [Thirumalai adivaram]. 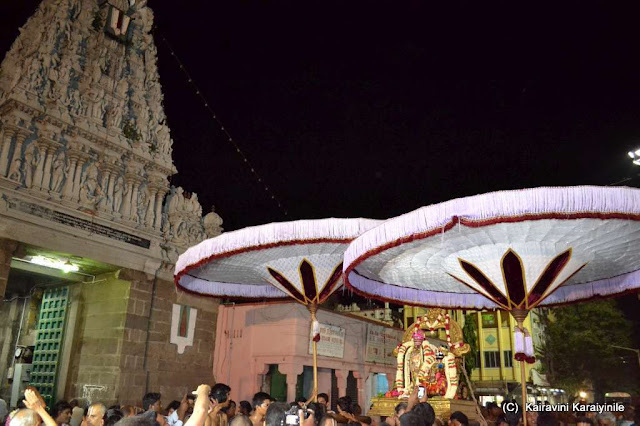 The 10 day celebrations are on at Thiruvallikkeni also, which culminates today. 16/8/2015 - இன்று மிகச் சிறந்த நன்னாள் ! 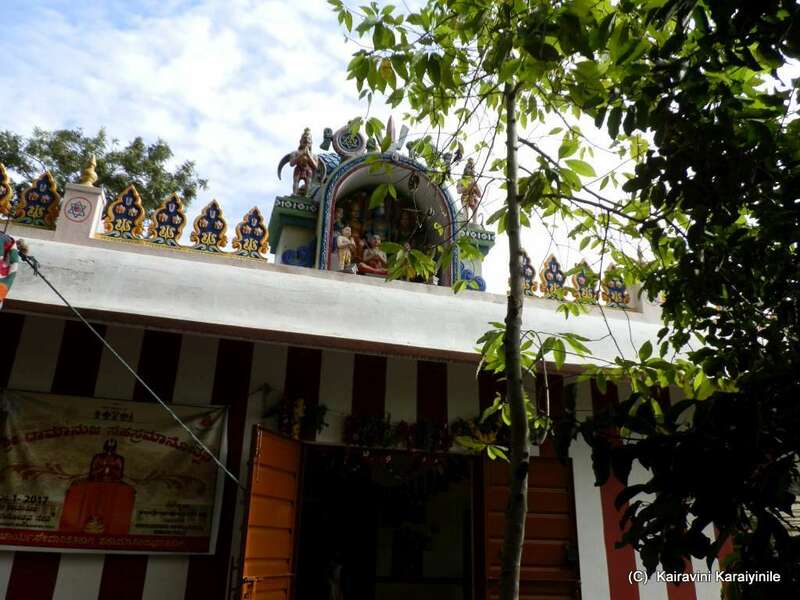 ஸ்ரீ ஆண்டாள் அவதரித்த தினம். 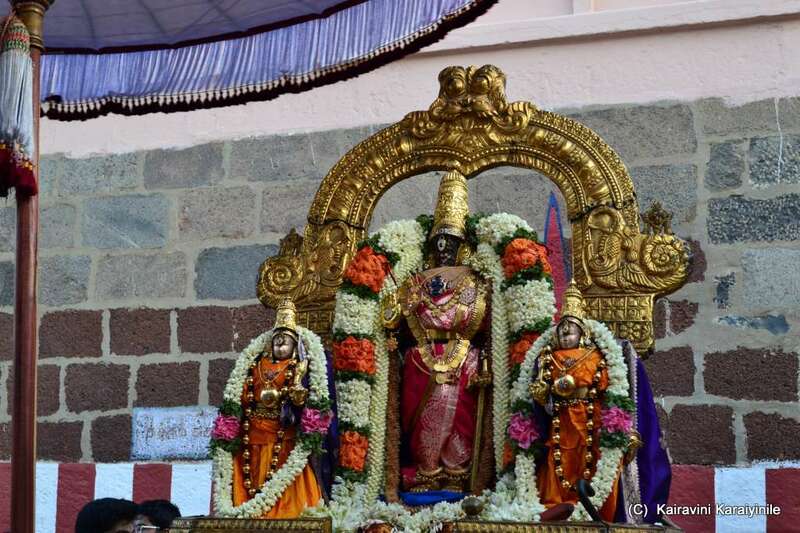 'திருவாடிப்பூரம்' ஸ்ரீவில்லிபுத்தூரில் பெரியாழ்வார் பெண்பிள்ளையாய், நந்தவனத்தில், துளசிமலரில் பூமிபிராட்டி அம்சமாய் தோன்றிய கோதை பிராட்டியின் பக்தி அளவிட முடியாதது. தன் இளமை தொடங்கியே 'மானிடவர்கென்று பேச்சுப்படில் வாழகில்லேன்' என உறுதி பூண்ட பிராட்டியின் பக்திபெருக்கு திருப்பாவை, நாச்சியார் திருமொழி நூல்களாக வடிவெடுத்தது. ஸ்ரீ ஆண்டாள் அருளிச்செய்த பிரபந்தங்கள் 'திருப்பாவை; நாச்சியார் திருமொழி". 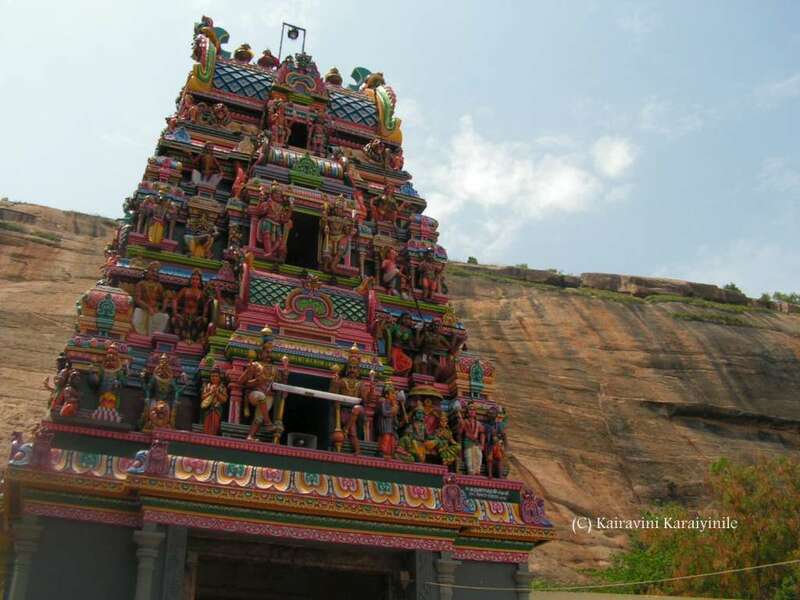 திருப்பாவை 'சங்கத் தமிழ் மாலை' என போற்றப்படுகிறது. 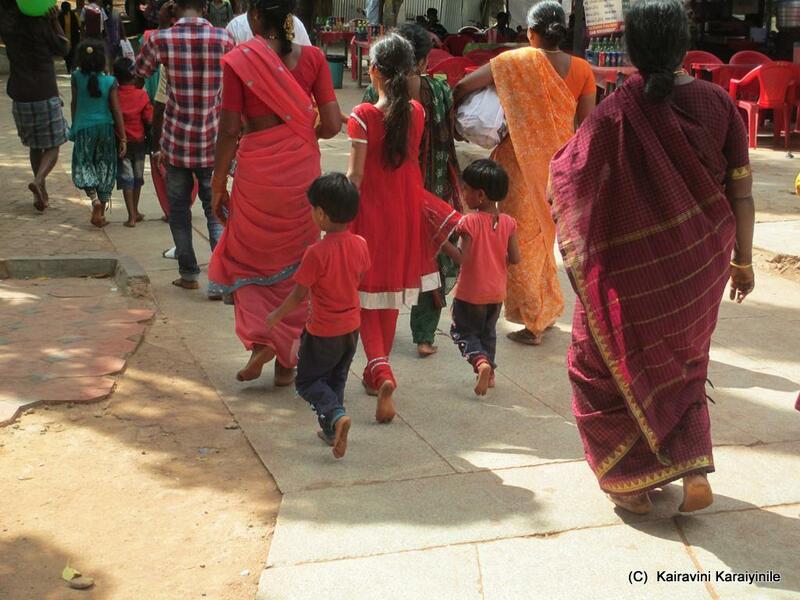 நம் பொய்யில்லா மணவாளமாமுனிவன், தமது 'உபதேசரத்தினமாலையில்' திருவாடிப்பூர திருநக்ஷத்திரத்தில் பூமி பிராட்டி ஸ்ரீவைகுண்டத்தில் உள்ள உயர்ந்த அனுபவத்தை விட்டுவிட்டு பெரியாழ்வாருக்கு திருமகளாக இந்த உலகத்தில் நாம் உஜ்ஜீவிப்பதற்கு அவதரித்தருளினதை, அழகிய ஆடி மாதத்தின் பூர நக்ஷத்திரத்தின் வைபவம் வேறொரு தினத்துக்கு கிடையவே கிடையாது. ஆண்டாளுக்கு சமானமாக ஒருவர் உண்டு என்பது உண்டாகுமேயானால், இந்த நாளுக்கும் சமானமாக ஒரு நாள் உண்டாகக்கூடும் என பாடி மகிழ்கிறார். ஆண்டாள் பிறந்ததனால் கோவிந்தன் வாழும் ஊரான வில்லிபுத்தூர் பெருமை பெற்றது. ஸ்ரீவில்லிபுத்தூர் மண்ணை மிதித்தாலே நமது அனைத்து பாவங்களும் விலகும். ஆண்டாள் பிறந்த இந் நன்னாளில் திருப்பாவை முதலான திவ்யப்ரபந்தங்களை பாடி திருமால் அடியார்களை மகிழ்வித்து, ஸ்ரீமான் நாராயணின் அருள் பெறுவோமாக !! 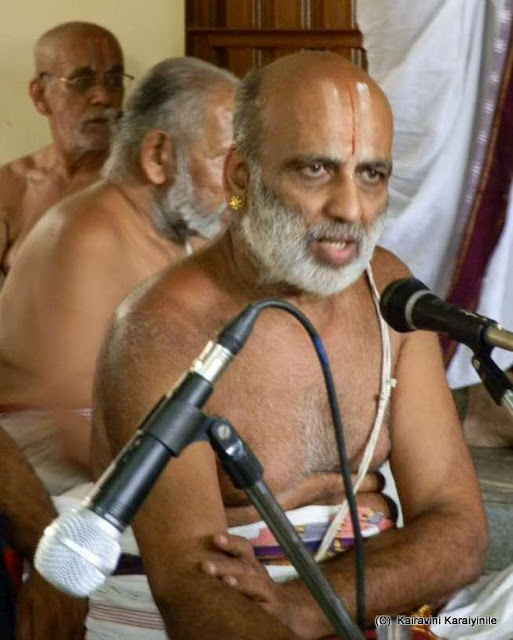 Goda Piratti concludes with the advice that only SriMan Narayanan can take care of us in this life and beyond …….. He will sure do that … for it is He who owns us …….. “இம்மைக்குமேழேழ் பிறவிக்கும் பற்றாவான், நம்மையுடையவன் நாராயணன்நம்பி”. 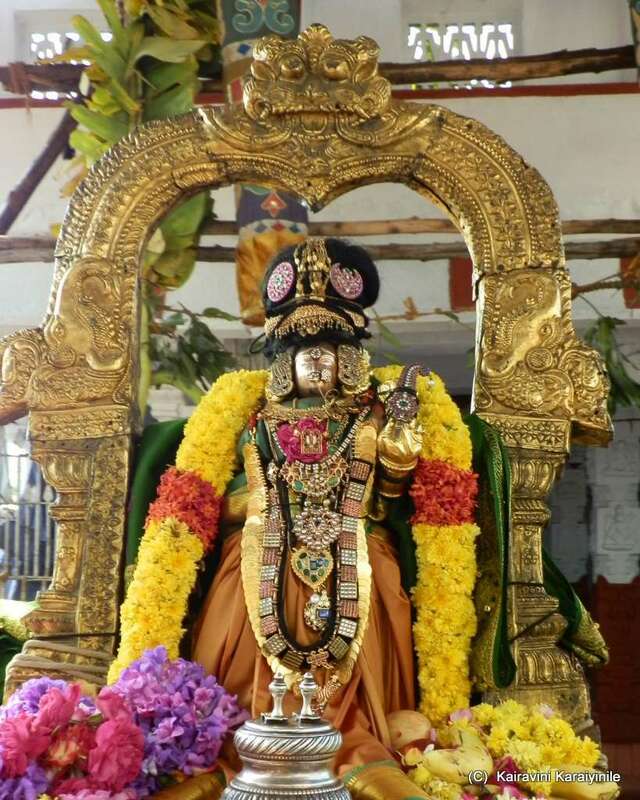 We only have the simple task of falling at His feet and singing pasurams.